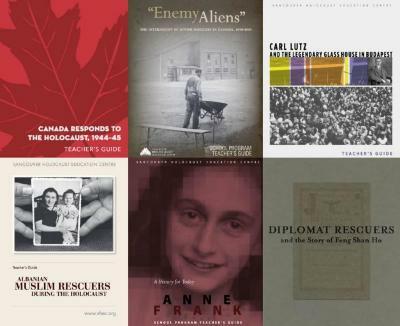 The VHEC Library offers educators a rich resource for teaching the Holocaust and supporting students. Innovative tools have been incorporated into the Collections website to allow students to independently investigate the collection and deeper their understanding of historical events. The VHEC Library collection includes education resources, reference material, memoirs, fiction and non-fiction, materials for children and young adults, and a small multilingual book section. The VHEC has developed a worksheet designed to support students' independent inquiry into primary source texts in the Library collection. These guiding questions will assist students to place autobiographical texts, or excerpts, into their historical context and make inferences to deepen their understanding. 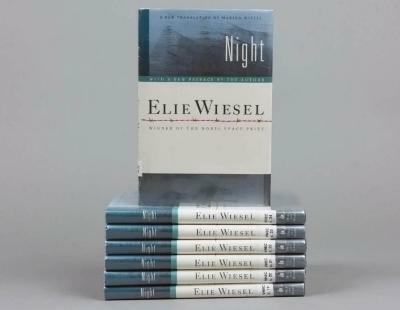 The VHEC Library collection includes classroom book sets, available free of charge for four-week loan periods, for autobiographical texts including The Diary of Anne Frank and Elie Wiesel's Night. Additional worksheets for analyzing artefacts, documents and photographs are found under Researchers and Educators. The VHEC has developed the following recommended book lists to support students and educators with their reading selection. Copies of materials listed are available from the VHEC Library. Library holdings are described individually in catalogue records. A catalogue record brings together information that makes it possible to uniquely identify a resource. Each record includes fields that describe aspects of a work or item, including title, author, publisher, date of publication, subjects and summary. Users may also find information about the availability of an item. The individual record for each library item contains links to other items in the collection with the same subject matter heading (access points). The individual record also contains links to related holdings by place, historic event, people and organizations. Exploring links to related holdings gives students the opportunity to compare how different sources of historic evidence speak to common themes, historic events, people and/or places. Users can browse the Library collection and filter results by subject, resource type, publication date, people, place etc. to explore library items relevant to their lesson or topic under study. This feature allows students to engage with the catalogue according to their distinct interests and learning contexts. Lightbox is a tool within the collections system that allows users to create, manage and share a customized collection of items from the VHEC Collections catalogue. Students can save selected items from their search or browse results to their Lightbox in order to create their own collection to include in classroom presentations, lesson plans, assignments or group projects. Once a Lightbox collection has been created, items can be added, organized, filtered and annotated, and can also be viewed on an interactive timeline. View the User Guide for more instructions about how to use Lightbox. Presenting with Lightbox: Lightbox collections can be presented in the classroom as a web-based slideshow. Users can organize items in their Lightbox by dragging and dropping to determine the order in which items appear in a slideshow presentation. Creating a Shared Digital Workspace with Lightbox: Lightbox can be used to create a shared digital workspace in the classroom. Users can annotate items in their Lightbox with comments or questions and can grant access to other users via the “Share the Lightbox” function. In this way, teachers can create and share Lightbox assignments with students using the annotation feature to pose questions or direct the students’ inquiry into a collection of items. Similarly, students can respond to questions or share observations through the annotation/comments within the Lightbox. Creating a shared digital Lightbox workspace also enables students to collaborate with each other on joint projects or presentations. Teachers' guides complement VHEC exhibitions and support classroom learning. They include pre- and post- visit activities, discussion questions, student readings, primary source documents, glossaries, timelines and recommended resources. Browse past Teachers' Guides in the VHEC Library collection here. 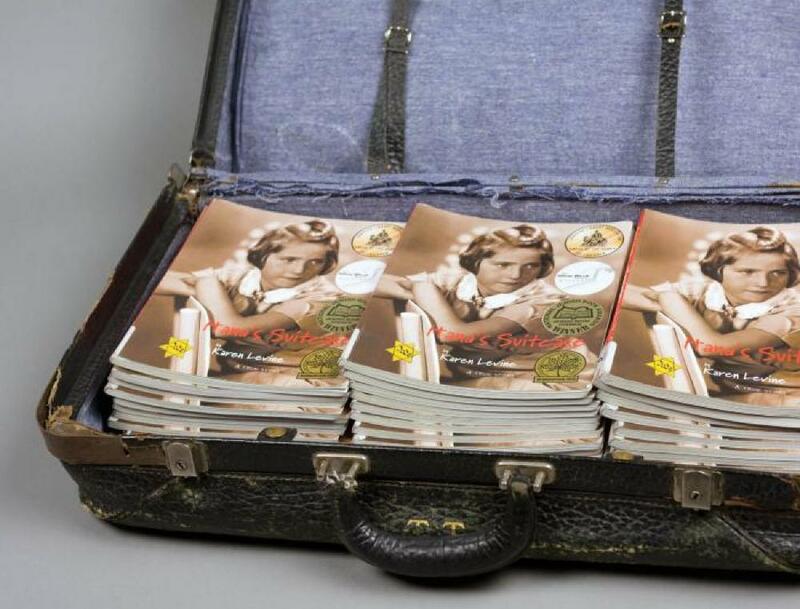 Classroom Book Sets engage young adult readers while offering insight into the authors' experiences of the Holocaust. They are commonly taught as part of the British Columbia provincial curriculum and are appropriate for middle and high school students. Classroom Book Sets are available for four-week loan periods free of charge. Each set contains 30 copies of the book, and some include additional resources and readings. More information about Classroom Book Sets can be found here: How to Reserve a Classroom Book Set. Discovery Kits developed by the VHEC are available for two-week loan periods free of charge. The kits place reproductions of primary source documents such as letters, diaries, newspaper articles, photographs, identification card and government documents into the hands of students. Students are encouraged to examine, describe and analyze the artefacts as a way to investigate issues of discrimination, segregation, hiding, resistance, as well as the aftermath of war and immigration. Teachers' Guides are also included. Discovery Kits provide the opportunity for students to engage with museum items when travel to the VHEC is not possible. More information about Discovery Kits can be found here: How to Book a Discovery Kit. Survivor Outreach Speakers are survivors of the Holocaust who visit classrooms in person or via video conferencing. They address close to 15,000 students annually, mostly at schools in Vancouver and the Lower Mainland of British Columbia, at the VHEC, or at the Symposia on the Holocaust held yearly at the University of British Columbia. More information about Survivor Outreach Speakers can be found here: How to Book a Survivor Outreach Speaker. Teachers may book a school visit for students to engage with primary sources on site. Interactive sessions last 75 minutes and consist of a docent-led tour of the current exhibition as well as a workshop or presentation by a Holocaust survivor speaker. One or two exhibitions are mounted annually. Due to high demand, it is recommended teachers book at least two weeks in advance. More information about school programs can be found here: Book a Tour or Workshop for Your Classroom. Primary sources, including testimonies, can also be incorporated into classroom activities through the VHEC's online exhibitions and multimedia tools. Educators can explore the VHEC's online resources to inform their teaching here: Online and Multimedia Tools for Teachers.